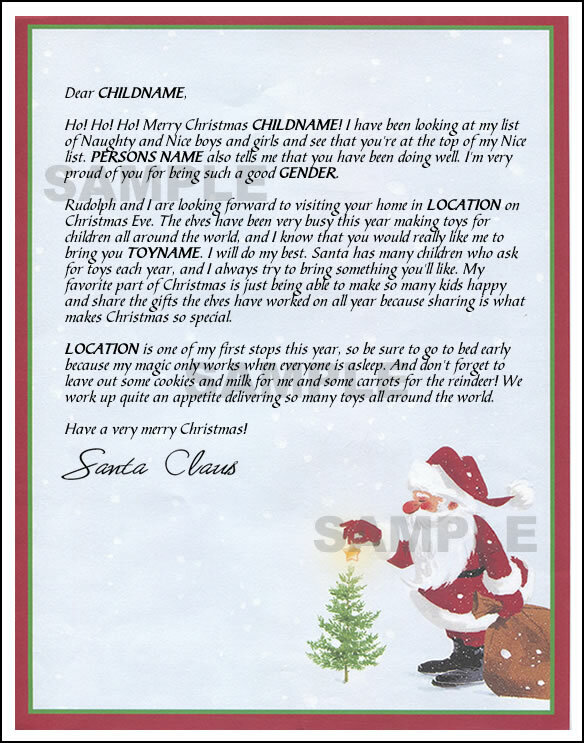 Give your child a gift to remember with a personalized Letter From Santa Claus by ordering one of our mailed Santa Claus Letters. Choose your style, customize it, choose an optional side gift like a signed photo of Santa, and choose whether you want the letter sent out immediately or during last few weeks of December. Your child will be mailed a personalized Santa letter complete with a beautiful holiday envelope, holiday stamp, and North Pole address! 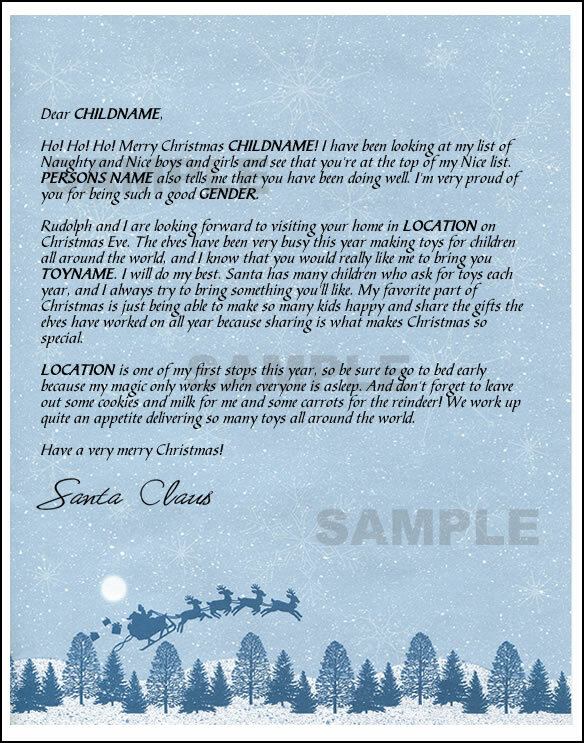 This Santa letter template includes fields for: your childs name, gender (boy or girl), location, parent / caregiver / teacher name, and most wanted toy. 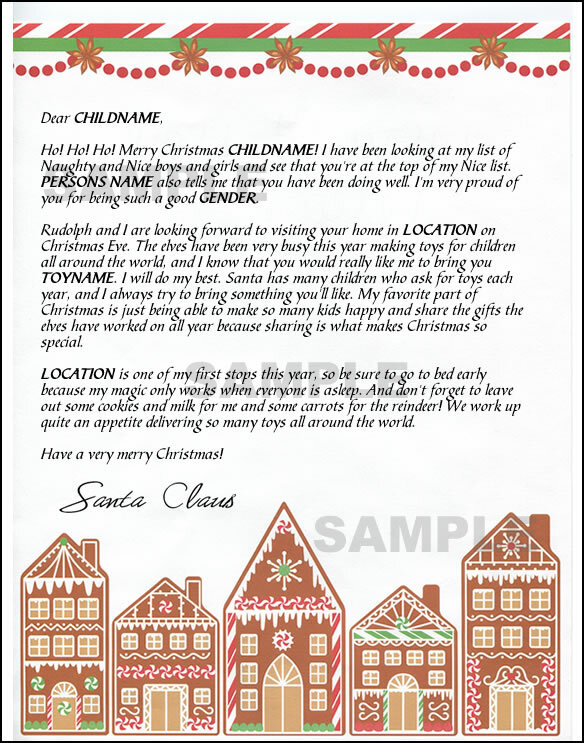 Personalized mailed letter from Santa Claus on beautiful holiday paper of your choice below. Beautiful holiday envelope: greeting card size 5 3/4" x 8 3/4". 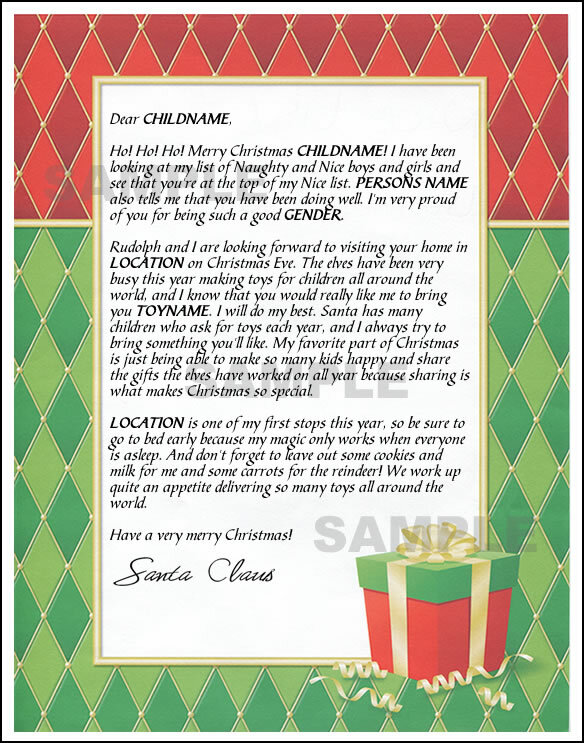 Click on a style of your choice below for a smaller watermarked sample of this Santa letter template. GUARANTEED DELIVERY: All orders placed by December 16th are guaranteed to be received by December 24th or your money back! NOTE: We have received an update from USPS indicating that any orders placed after 16th will NOT be received until after December 24th, due to how back logged USPS is. Please be aware of this before purchasing any mail products. 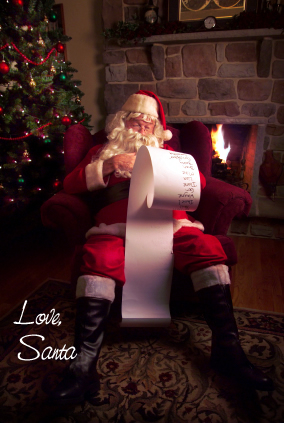 As a special bonus, give your kids a specially signed 5" x 7" signed glossy photo of Santa Claus. Beautiful Christmas Gingerbread paper stock. Soothing blue Santas Sleigh paper stock. Vibrant red and green border, falling snow, and Santa Claus placing a star on a tree. Vibrant red and green quilted border, and a nicely wrapped present.